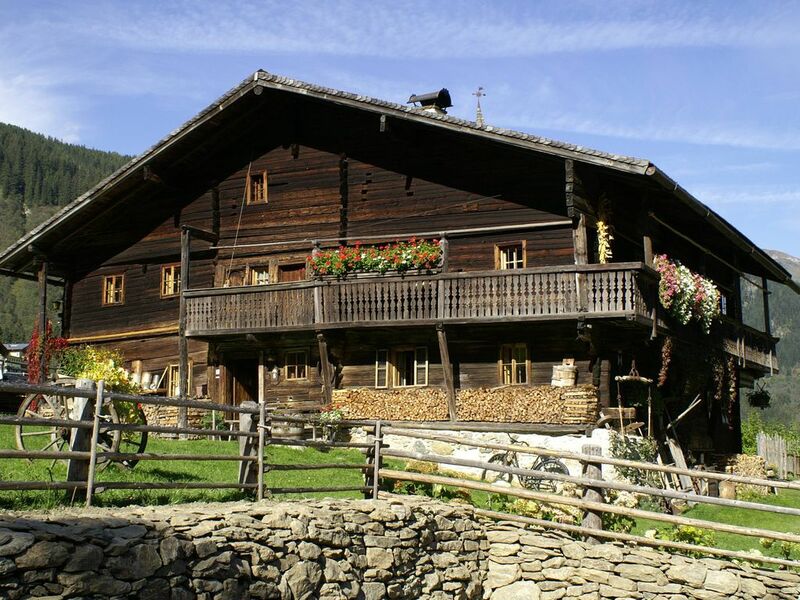 The two Buildings of Anton Wallner are between Kitzbühl an the Ziller Valley, in the national park “Hohe Tauern” on an altitude of 1,150 m. It is located near the highest Waterfalls of Europe, called “Krimmeler Wasserfälle”, you can see them from the balcony. The Blockhouse is the birthplace of Anton Wallner, he was an Austrian fighter for liberty. Then in 1809 Anton Wallner met Andreas Hofer (fighter for Freedom of South-Tirol), they defenced Austria against the forces of Napoleon. Both Buildings are listed in 1980 an the birthplace was declared as a cultural monument and were protected by the Haager Convention. Toboggan-run : You can go sledging in Krimml. The toboggan-run is about 2.5 kilometre long and its very hard sometimes. In the neighbour town you will find the longest toboggan-run of the world with a distance of 14 kilometres, your are sledging from the “Wildkogelspitze to Bramberg”. 3 biggest snow and fun arenas in Austria: Both houses are standing side by side in the 3 biggest snow and fun arenas in Austria, the so called Gerlosplatte, Wildkogel und Zillertal and you can reach these arenas within 10 minutes by car. But you can come the whole year, not even only for skiing or other winter sports activities. The season for the winter sports is from December until April. and the you can come for walking tours, climbing and other leisure time activities from Mai until Oktober. Our friends and family couldn't have had a better Christmas at this house full of impressive details. It was a great surprise for everyone! What a wonderful experiance to walk at night under the stars to the nearby waterfalls, Herbert, a wonderful host, even taught us how to play ice bowling. The people in this little town were very nice and friendly. I Definitely, recommend this place to anyone, you'll be greatly surprised. Alles was prima, es war ein Erlebnis in so einem alten Haus unseren Urlaub zu verbringen. Eine sehr schöne Hütte mit ganz besonderem Flair. Wir haben ein super Wochenende dort verbracht. Es war perfekt. Diese Hütte hat ihren guten Geist auf uns übertragen und uns eine unvergessliche Zeit geschenkt! Wir waren hier in einer anderen Zeit und alles war gut. Das Haus hat uns inspiriert und wir haben uns darauf eingelassen. Alles andere kam von selbst. Lieber Herbert, Danke für alles. Wir kommen wieder. Wer auf der Suche nach etwas Besonderem ist, kann hier nichts falsch machen. Nach einer kurzen Eingewöhnung haben wir uns in der liebevoll restaurierten und originell eingerichteten Hütte sehr schnell sehr wohl gefühlt und mit 10 Personen 3 tolle Tage und auch gute Nächte verbracht. The “Anton Wallner Houses” are at the edge of Krimml, 200 m away from the forest and you can see the highest Waterfalls of Europe. Both houses are standing side by side in the 3 biggest snow and fun arenas in Austria, the so called Gerlosplatte, Wildkogel und Zillertal and you can reach these arenas within 10 minutes by car. But you can come the whole year, not even only for skiing or other winter sports activities. The season for the winter sports is from December until April.